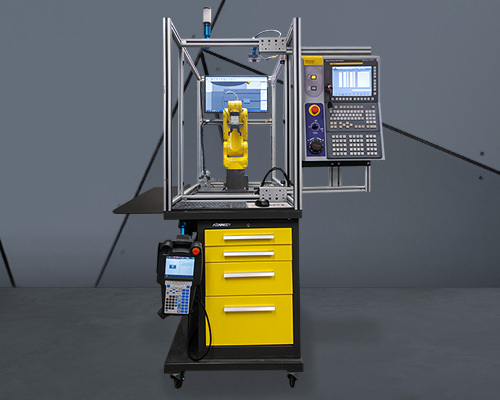 The APT MTEC-SIM CNC simulator is a complete, ready to use cell featuring robot to CNC full integration in a simulated environment. Ready for mill and lathe operation with the robot moving a blank from a pick location to a simulated mill vice or lathe chuck all in one compact cell. 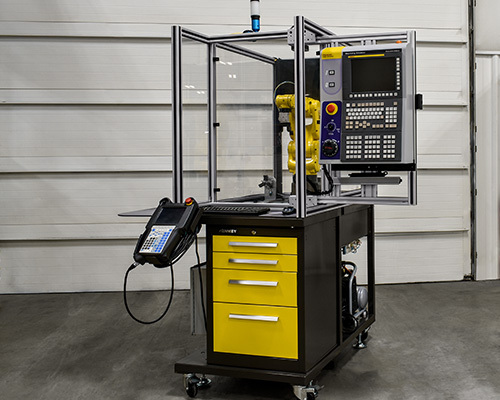 Now there is a feature packed robot and CNC training cell for multi-level certifications. 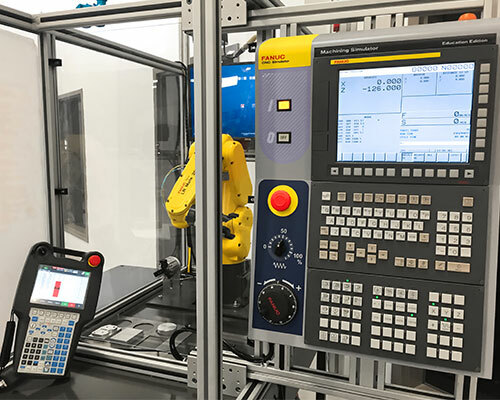 With one system a student can receive Level 1 robot, Level 2 advanced robot with vision, CNC programming, and integration between a robot and a CNC machine, all in one compact ready to use cell. The perfect introduction of robot to machine communications. 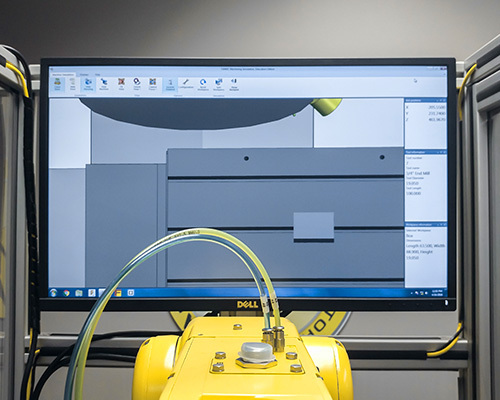 See your machining program come to life on the monitor. Hear the tools cutting. See the part get loaded and unloaded.